Lush green valley, majestic Manawar Tawi river flowing nearby and the groove of trees all around this forward post! Standing on one of the last Observation Posts (OPs) of Indian army deployed on the Line of Control in Pallanwalla area, one cannot help appreciate the breathtaking beauty of the valley beneath which can be approached by crossing streams, pine trees and peacocks dancing all around. “Don’t go by what you see here, only bullets do the talking here,” said an army officer shooting off a warning about the place where an eight-month-old was killed recently from a bullet fired by Pakistan during ceasefire violation in Jammu and Kashmir's Keri Battal area of Akhnoor. Taking his piece of advice lightly, it seems to be one of the most beautiful places in the world with great scenic beauty. But as the sound of gunfire breaks the stillness of the tranquil surroundings in this forward Indian post on the Line of Control, with shells and bullets landing from across the Line of Control, one realizes about the palpable tension all along the International Border and Line of Control in Jammu region. Everyone present there on the OP had to run helter-skelter when the first mortar shell landed there breaking the eerie silence. And many followed the first fire shell. "Don't believe what you see here. This beauty and peace are deceptive," says an army officer informing that the groove of trees is the one where Pakistani army chief General Yahia Khan had camped for days together during infamous Chamb attack many decades ago. Visible from the naked eye, just a kilometre away is Chamb sector which India had lost to the Pakistani forces in the 1965 war. Pakistan had occupied areas right up to Akhnoor, just 35 km from Jammu. But under Tashkent Agreement, while India returned Haji Peer Pass to them, Pakistan returned the areas of Akhnoor and Pallanwalla but retained Chamb. Similar is the case in Noushera sector which incidentally is the most active stretch of LoC in the entire region with a track record of numerous Pakistani army’s Border Action Teams (BAT) attacks on Indian forward posts besides many attempts made to capture Indian posts in this particular sector. Mortar and direct shelling which is an everyday affair, has even made the inhabitants of Indian villages like Sariya, Khamba, Jhanger etc spread down in the valley and also on the ridgelines perfectly battle-inoculated. Though infiltration is less in Noushera, yet the terrain of the area where the Line of Control runs like the ‘C’ alphabet, helps infiltration. The closeness of Pakistani villages like Sukerteras, Sakeeran, Mela, Kotli, Batala, and Khureta spreading out in the valleys and ridges right up to the Line of Control is yet another factor contributing to the infiltration. The uniqueness of this sub-sector lies in the fact that the BATs of Pakistani army had tried a number of times to capture Indian post. The Border action Teams comprising of Pakistani army commandoes and militants facilitate infiltration and capture Indian post. The BATs plan, operate and raid Indian post on the frontline besides laying ambush on Indian patrols and try to capture Indian posts. Tension, like other areas of International Border and Line of Control, is quite palpable in Samba, Arnia and Jammu sector. Life has been turned upside down for the villagers living in border areas of Jammu zone. A few days ago an eight-month-old baby girl who was sleeping in her house died after she was hit by a bullet. Elsewhere on the border on the same axis, routine deaths and injuries have become a routine feature. More than a dozen civilians including two soldiers have been killed including a ten-year-old boy. 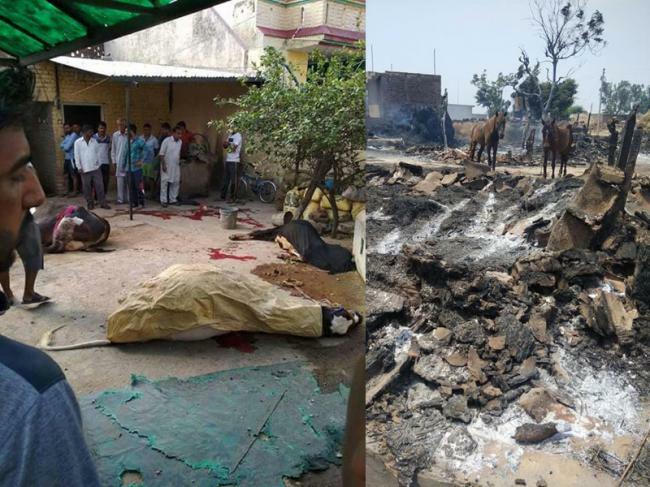 Hundreds of animals have perished in heavy mortar shelling and firing by Pakistani troops at these villages and border outposts along the International Border in Jammu, Kathua and Samba districts. For over a week, there has been continuous firing and shelling by Pakistani Rangers along the International Border and Line of Control in Jammu and Kashmir. Massive buildup by the Pakistani army all along the Line of Control and International Border in Jammu region has kept the Indian army in the high state of preparedness to face any kind of situation. In the sweltering heat of peak summers, hundreds of people have been evacuated and put in safe shelters and an operation to evacuate others is going on with use of bulletproof vehicles. Hundreds of villagers had to vacate their homes and take shelter either with their relatives or at relief camps set up by the government at safer places. All educational institutions in the areas remained closed. 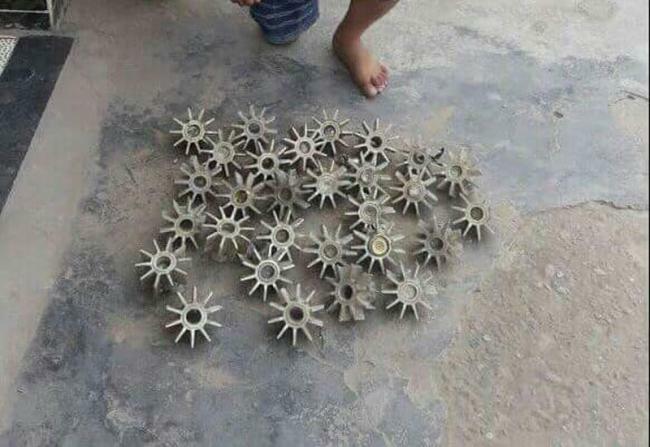 “This time the border shelling is intense as 80 mm and 120 mm mortar shells are being used by Pakistan army to hit dozens of villages,” inform the villagers. Massive damage was caused to a number of houses. Life has come to a standstill in these areas.